“…nearly 20 years out from the initial recognition in 1994 of BED as a syndrome of interest that merited inclusion in DSM-IV… the chapters in this volume, authored by scientists, clinicians, and advocates, represent the state of the field and… provide a roadmap for the years ahead” – Michael J. Devlin, Stephen A. Wonderlich, B. Timothy Walsh, James E. Mitchell; from the Foreword to A Clinician’s Guide to Binge Eating Disorder. Michael J. Devlin, Stephen A. Wonderlich, B. Timothy Walsh, James E. Mitchell; from the Afterword to A Clinician’s Guide to Binge Eating Disorder. Incidence of Binge Eating Disorder (BED) appears to be on the increase. Treating it and overcoming it is all the more difficult, especially for those living in a culture that has an intense body image focus. BED has been recognized as a provisional eating disorder for several years and has been recommended for inclusion in DSM-5 as a diagnostic category in its own right. Nonetheless, there continue to be a number of important questions regarding the fundamental nature of the disorder. Its name suggests that eating behavior, specifically binge eating, unaccompanied by the compensatory behaviors that characterize bulimia nervosa, lies at its core. Yet patients who present for treatment often display a cluster of symptoms along different dimensions including behavioral features (binge eating, frequent dieting), somatic features (weight gain leading to overweight or obesity, unstable weight), and psychological features (negative affect, body shape/weight overconcern), and, while the precise causal relationships among these features are far from clear, there are a number of potential relationships. The pattern of episodic overconsumption accompanied by a feeling of loss of control (loC) may be profoundly distressing and may increase the individual’s attention to and distress regarding weight and shape. in a reciprocal fashion, negative emotion, e.g. sadness, shame, or anxiety, which at various times may or may not be related to body image distress, can provoke binge eating. For many people, dieting represents an attempt to remedy this distress, but often fails to be sustained, leading to a resurgence of binge eating. Although not represented on the diagram, many would argue that dieting may additionally serve to amplify and sustain body image over-concern. overconsumption may lead to weight gain, which in turn leads to intensified negative affect, particularly related to weight and shape, and promotes further binge eating. While the general features of BED are relatively well established, important unanswered questions arise on closer examination. one such question relates to the “anatomy of a binge”. BED is defined in DSM-iv-Tr Appendix B in an identical fashion to the binge eating episode in bulimia nervosa (Bn), with the two key features of ingesting an objectively large amount of food and experiencing a sense of lack of control. However, it is not clear that typical binge eating episodes in BED, which unlike binge eating episodes in Bn are not punctuated by attempts at compensation via purging, exercise, or fasting, resemble typical binge eating episodes in Bn. The relationships among negative emotion, cognitions regarding control or lack thereof, and actual and perceived amount consumed have yet to be fully elucidated. An important question for both BED and Bn is whether the two defining features of an eating binge, i.e. objectively large amount of food and sense of lack of control, are equally important. For both disorders, it has been suggested that people who report only subjective eating binges, i.e. sense of lack of control without the consumption of an objectively large amount of food, in many ways resemble those who consume objectively large amounts of food during their eating binge (Wolfe et al. 2009). Despite this resemblance, it is possible that, particularly for people with BED who do not engage in compensatory behaviors, the outcome of recurrent objective binge eating may differ from that of subjective binge eating; specifically, objective binge eating may be more conducive to weight gain. Beyond the question of whether binge size matters, the broader question of what exactly takes place during an eating binge is a more complex question than may initially be apparent. The complexities of assessment are ably reviewed in Chapter 9, and, upon careful review of the various methodologies that have been developed, it is clear that all have their limitations. research methodologies, including laboratory studies, i.e. observed meals under instructions to engage in or avoid binge eating, and ecological momentary assessment (EMA), i.e. inter- mittent reporting via handheld computer, of real-life eating behavior and related experience, also have their limitations. It is apparent that, like the blind men and the elephant, only through ongoing study from a variety of vantage points, making use of different self-report, interview, laboratory, EMA, and perhaps other measures yet to be developed, will we be able to come to a full and accurate understanding of the nature and experience of the eating binge. Another important question regarding BED concerns its relationship with obesity, reviewed in Chapter 1. Although obesity is not a criterion for the BED diagnosis, BED and obesity are often grouped together in the minds of patients and professionals alike, raising questions regarding the centrality of obesity or the potential for obesity in the diagnostic construct. For patients with both BED and obesity, the nature of the causal associations, if any, are unclear. in other words, it is theoretically possible that binge eating may contribute to the development of obesity, or be reinforced by a pattern of intermittent strict dieting, or both of the above. It is also possible that the genetic and environmental risk factors (see Chapter 3) that contribute to the risk for obesity and BED may be partially but not fully overlapping. regardless of the theoretical relationship between BED and obesity, most people who present for treatment for BED are overweight or obese, and it may be important to take the presence of binge eating into account when initiating treatment for obesity, whether this involves behavioral weight loss (see Chapter 15), bariatric surgery (see Chapter 14), or other approaches. During the past two decades, along with defining the central features of BED and developing reliable methods to assess these features, we have begun to learn about additional characteristics of those who suffer from this disorder. Given the intense and varied cultural meanings of food and body size and shape, it is not surprising that ethnicity and race may influence the risk for and particular expression of BED. These factors, including their interaction with age, gender, socioeconomic status, and other demographic features, are comprehensively presented in Chapter 2. one of the most consistently reported findings in the literature on BED is the increase in comorbid psychological symptoms, particularly in depression, in those with BED compared to otherwise similar individuals who do not binge eat (see Chapters 4 and 5). The multifaceted concept of body image disturbance is explored in Chapter 6, including its behavioral, perceptual, cognitive, and emotional components. it is of note that body image disturbance, so central to the experience of many who engage in binge eating, is not currently a BED diagnostic criterion, and questions regarding whether it should be regarded as part of the core construct of BED or simply as a frequently associated feature are the subject of ongoing investigation. While a great deal is known about the many characteristics of BED, including behavioral, psychological, and medical dimensions, much less is known regarding its etiology and pathophysiology. The genetic and environmental contributions to BED, including heritability estimates, candidate genes, environmental risks, and gene-environment interactions, are summarized and discussed in Chapter 3. A particular and most unfortunate environmental factor that influences risk, not only for BED but also for a variety of disorders, is the experience of childhood trauma. The ways in which childhood trauma may both contribute to the risk for binge eating and affect a person’s experience of binge eating are beginning to be characterized, and the growing literature on this topic is reviewed in Chapter 4. A very new area of investigation concerns the role of brain reward systems in initiating and maintaining a pattern of binge eating. The concept of binge eating or non-homeostatic eating leading to weight gain as phenomena akin to more classic substance use disorders is a fascinating and controversial one that has been the subject of recent cutting-edge research and discussion in the obesity literature (Marcus and Wildes 2009; volkow and o’Brien 2007). In fact, a newly developed measure identifies more than one in two patients with BED as meeting criteria for “food addiction” (Davis et al. 2011), suggesting that this concept may be of particular relevance to binge eating. As important as questions regarding diagnostic features and etiology of BED may be, the most immediately compelling questions, particularly for those who suffer from BED, involve treatment. Treatment, of course, rests on an under- standing of the causal factors that give rise to and, perhaps more importantly, maintain the disorder, and theories regarding initiating and maintaining factors are often inspired by analogies with related conditions. It is not surprising, given that BED is primarily characterized by a disorder of eating and that many patients who present for treatment of BED are overweight or obese, that treatments have largely derived from treatments for eating disorders, particularly Bn, and for obesity. Psychological interventions including cognitive behavioral therapy (CBT), interpersonal therapy (iPT), dialectical behavior therapy (DBT) have shown great promise, and, as reviewed in Chapters 10 and 11, we are beginning to appreciate features that might allow the therapist to rationally select among these options. it is important to note that, in an age of escalating health care costs and diminishing resources, guided and pure self-help approaches have proven to be an effective and less costly alternative for some. As is the case for Bn, medication may serve a useful adjunctive role for many patients with BED (Chapter 12). While the person who called the eating disorders clinic for help in our opening example had tried weight control programs without success, there is in fact evidence that treatment approaches based on weight control treatment, including behavioral weight loss (Chapter 15) and bariatric surgery (Chapter 14), may be helpful for patients with BED who are overweight or obese and consider weight loss to be one of their goals. our ever-increasing experience and knowledge base regarding BED has allowed these approaches to be tailored to manage the particular needs and problems of people with BED. 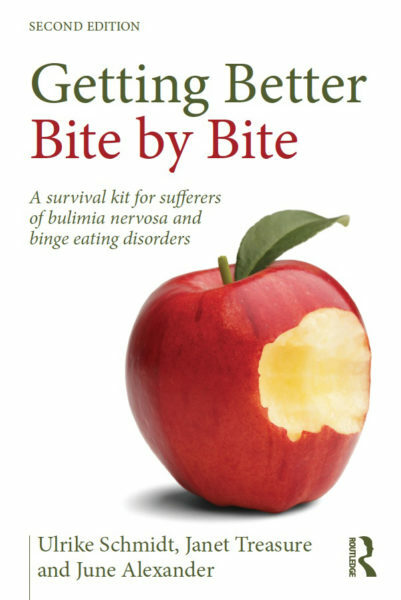 Perhaps the most important example of an approach that re-conceptualizes the treatment based on the particular needs of individual patients with loC eating and body image disturbance is intuitive eating and movement (iEM) reviewed in Chapter 16. However, regardless of the treatment approach, recognition of the ways in which treatment approaches evolve over time and in different contexts underscores the point that generalizations regarding various treatment approaches must be tempered by recognition of the ways in which the approach is operationalized in a particular setting with a particular patient population. in considering not only the treatment but also the etiology and pathophysiology of BED, it is of course important to appreciate that children and adolescents are not simply small adults, but rather pose unique challenges in assessment and treatment. The important silver lining is that recognition and treatment at an early age may also present a unique opportunity to provide help in a way that creates particularly profound and long-lasting benefit. The challenges to assessment and treatment, i.e. the ways in which developmental stage must be taken into account when considering natural course of illness, assessment of eating, and management of what has come to be known as loC eating, are reviewed in Chapter 13. A final crucially important aspect of responding as a community to the psychological, emotional, medical, and economic costs of BED is, of course, prevention (Chapter 7). Furthering the science of prevention is productive only to the degree that advocacy for those who suffer from BED and their loved ones instills a collective will to eliminate BED from our worldwide community. Advocacy will fuel widespread recognition of the disorder, allocation of appropriate resources to its management, and implementation of effective prevention efforts. The prevention of illness turned on its head is, of course, the promotion of health, and BED presents an important challenge to us as scientists, physicians, therapists, family members, friends, citizens of the community, and people suffering from BED to consider the concept of health broadly, including medical, lifestyle, and psychological components such as self-acceptance and peace of mind. When BED was initially recognized, an important limiting factor in its management was the separation that existed between the research community on one hand, and clinicians and patients on the other. The recognition of the tremendous amount that we all can and must learn from one another has led to real progress in this regard, but important challenges remain (Chapters 17, 18, and Part Two, Introduction). Simply providing patients with information regarding the sciences of etiology, pathophysiology, treatment, and prevention is not only therapeutic in its own right (Chapter 8) but creates a dialogue that energizes and informs research. So, nearly 20 years out from the initial recognition in 1994 of BED as a syndrome of interest that merited inclusion in DSM-iv, what do we now understand, and what challenges await us? The chapters in this volume, authored by scientists, clinicians, and advocates, represent the state of the field and, at the moment that BED is poised to gain official recognition as a diagnosis in the DSM-5, provide a roadmap for the years ahead. 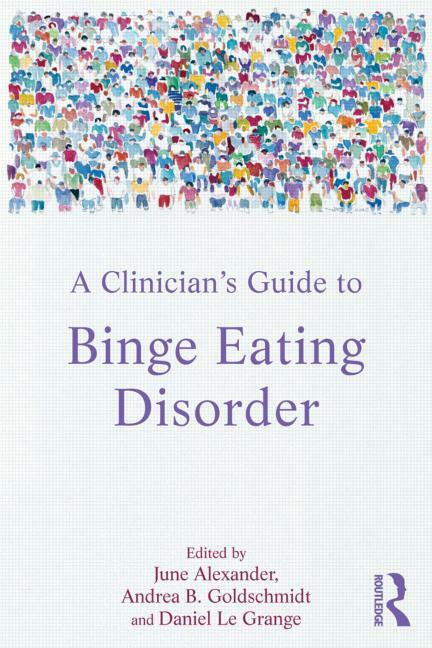 A Clinician’s Guide to Binge Eating Disorder educates the reader about its triggers and behaviors, and describes steps to treat it and resume a full and productive life. Evidence-based research outcomes provide the framework and foundation for this book. First-person case studies bring application of this science to life to help close the gap between research and treatment/care, and the importance of clinicians developing a therapeutic relationship as a healing tool with their client is discussed, recognizing that medical and psychological dimensions are inextricably intertwined. This book allays fear of the unknown, and explains the emotional chaos that can sweep in like a storm when, unintentionally, triggers are released. It provides practical steps and footholds for clinicians and researchers to help the patient take control of their life and look to a positive future. 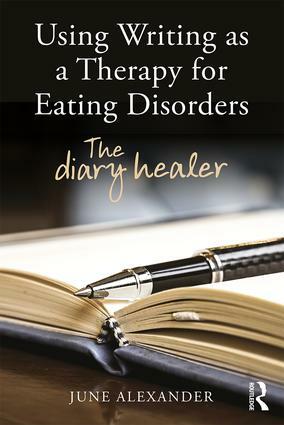 June Alexander is an Australian writer and journalist with a particular focus on eating disorders. Andrea B. Goldschmidt is Assistant Professor in the Eating Disorders Program at the University of Chicago. Daniel Le Grange is Professor of Psychiatry in the Department of Psychiatry, and Director of the Eating Disorders Program at the University of Chicago.